We actively promote healthy eating by providing school meals prepared in our on-site kitchen. Lunch is served in the school hall in a family style arrangement, with the older children serving meals to the younger ones. Our school meals are popular with pupils, but for those who prefer, a healthy packed lunch may be brought in instead. We supply free fruit for all pupils at break time, and water is available for children to drink throughout the day. Children are not permitted to bring sweets and fizzy drinks onto the site. St Bartholomew’s Healthy School status was renewed in 2010. Our kitchen was rated as 5* by the local authority initiative ‘Rate my Place’ in 2010. 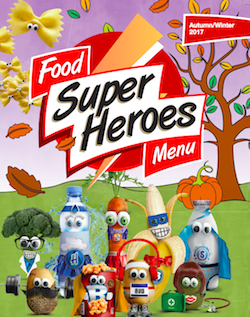 For more information and school menus, visit the Staffordshire Primary Schools Menu website.